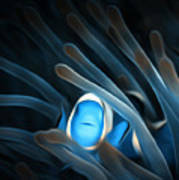 There are no comments for Peaceful Blue Clown Fish - Digital Painting 8x8 2018. Click here to post the first comment. 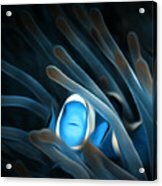 Clownfish Painting Art Facts: Most clownfish are orange with three white bands on the head and body but sometimes can be blue! 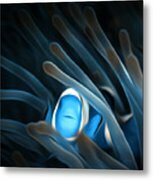 They live in the coral reefs off the coasts of Southeast Asia s far north as southern Japan and Australia and also in aquarium all over the world!